The Companionship and love we share with our pet is often one of our more important relationships we share. 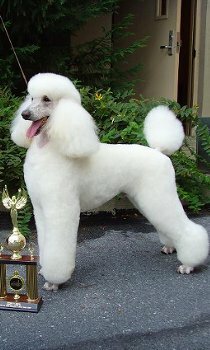 Master Stylist Kathi Johnson sees it everyday as the owner and operator of Blue Ribbon Pet Styling. More and more, people want their pets to have the care they need to lead happy, healthy lives. Blue Ribbon brings the flair and upscale salon to the midlands with proper products and skill to ensure your pet enjoys those benefits. Dogs not only look well groomed, they feel better with a Blue Ribbon Style!